The JEE Mains 2019 Exams will consists of two papers, ie Paper 1 ( for BE. or BTech) and Paper 2 for (B.Arch/B.Planing). Following are the few points in Students can analyze the pattern of JEE Mains exam. 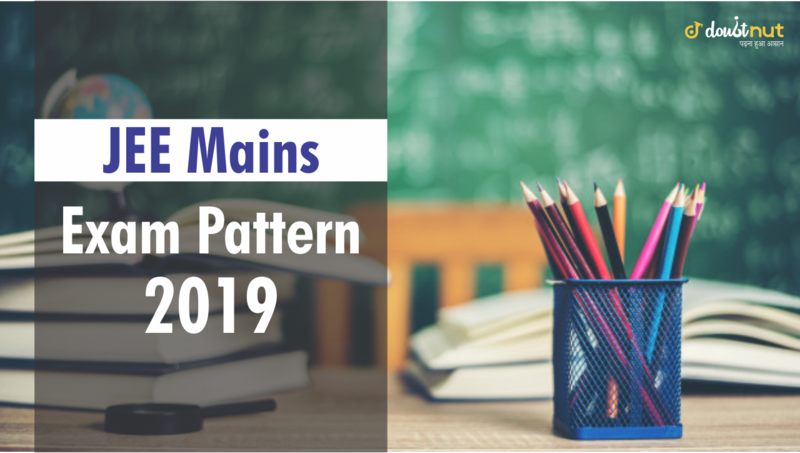 And if Candidates want detailed information about the JEE Mains 2019 Exam pattern can check here. : The mode of examination will be online (computer based) mode. For Paper 2 Drawing test will be conducted in offline mode. : The duration of the exam is 3 hours. The Paper 1 which is for BE. and BTech. , will be conducted in two sittings i.e. 9:30 am to 12:30 pm and 2:30 pm to 5:30 pm. Paper 2 will be held in one shift only. : Paper 1 :- The questions will be of Objective type questions. Paper 2 :- Maths and Aptitude Questions will be of objective type and drawing test will be subjective. : The Questions Paper will be available in English , Hindi and Gujrati language. : 4 marks will be awarded for each correct answer and 1 mark will be deducted for incorrect answer.